In a scathing editorial, European Parliament's Vice-President Ryszard Czarneck, has said that the recent Ramzan terror attacks in Saudi Arabia have signalled the arrival of the Lashkar-e-Taiba's "humanitarian" NGO Falah-e-Insaniyat Foundation (FIF) as being the source for the terror attack on Medina. In the editorial, titled Wake up call to Anti-terrorism Ayatollahs, Czarneck writes that ever since the Islamic State's exponential proliferation in the Middle East, the activities of Pakistani-linked Lashkar-e-Taiba (LeT) and its sister concern Falah-e-Insaniyat (FIF) have also picked up. Earlier, Lashkar and Falah-e-Insaniyat's activities were dismissed as being primarily focused on India. However, the recent terror attacks in Medina have changed that opinion. "The arrest of 12 Pakistanis for the suicide attacks in Medina, the western city of Jeddah, and the eastern city of Qatif, has made even the Saudis sit up and take note. One of the arrested ring leaders is Abdullah Qalzar Khan (34), a driver by profession and a resident of Jiddah for over a decade. His arrest shows FIF's quiet ways of radicalisation of the Pakistani diaspora, to pump prime the LeT's campaign for a new Islamist world order based on Sharia - religious and temporal practices that date back to the days of Prophet Muhammad," writes Czarneck. The FIF is a 'charitable' organisation started by Hafiz Saeed, the perpetrator of the Mumbai terror attacks in 2008. Czarneck writes that the FIF in its operations doubles up as a recruitment agency for affected, radicalized youth. Whilst distributing blankets in Syria, distributing knick-knacks during prayer time in Gaza or distributing relief material during the Nepal earthquake, organisations like LeT soon follow their FIF comrades into an indoctrination/recruitment campaign. 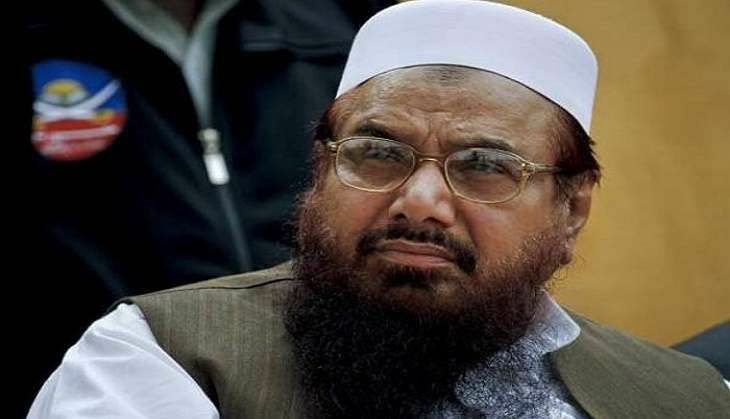 An example of FIF founder Hafiz Saeed's indoctrination tool can be seen in the recruitment of Ghulam Mustafa Rama, the man behind the 2001 shoe bomber, Richard C Reid. From a butcher shop in Northern Paris, Rama graduated to becoming the French face of the Hafiz Saeed-floated religious organization Markaz Dawa ul-Irshad. He remained in touch with his Pakistani handlers via a call center operated by his countryman and eventually provided logistical support to the 'shoe bomber' Richard Reid in December 2001.